Overwatch has added a limited time co-op mode called "Uprising." The mode is a co-op arcade event that features wave-based, defend a point, style gameplay for four players. 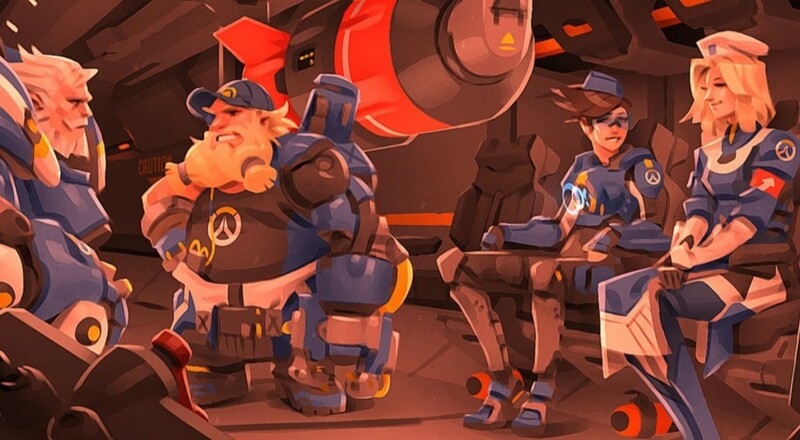 You'll be tasked with defeating the nefarious Null Sector using Tracer, Torbjörn, Mercy, and Reinhardt in the default mode. An "All Heroes" mode allows you to choose any character. You can watch our run through the mode below, which takes around 15 minutes to complete each time. The default difficulty is fairly easy and the hard difficulty in the all heroes mode, becomes frustrating quite quickly. The basic gameplay consists of moving from point to point and defending a section while a set timer counts down (or up). Rinse and repeat for 4 or 5 points and it's mission complete. As you head further into Kings Row, you'll be greeted with more difficult, or more numerous enemies. Basically if one cog in your team wheel falls off, there's very little chance for recovery. The limited time event ends May 2nd. Usually we lament when developers tease us with a co-op mode that suddenly goes away, but in this case perhaps there could be some refinement. Are Overwatch's Bots a Fair Fight? Or Cannon Fodder? Page created in 0.3752 seconds.